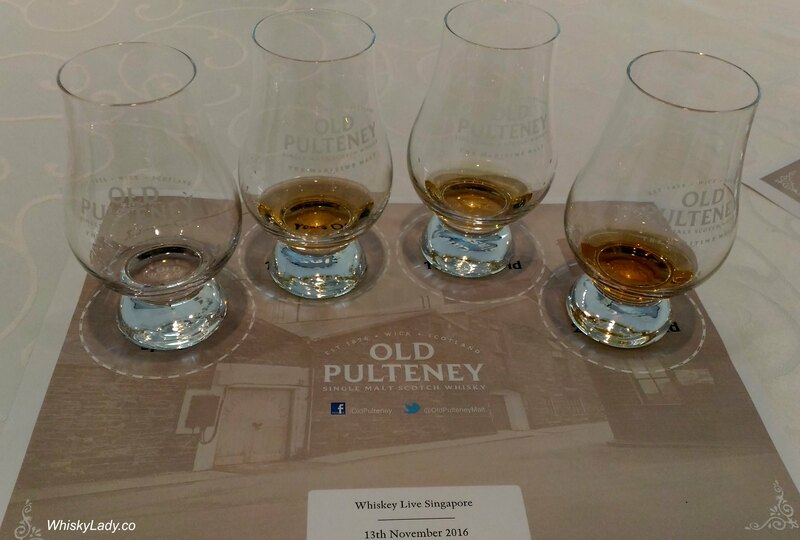 A highlight from 2016 was attending the Old Pulteney Masterclass at Whisky Live Singapore. Andy Hannah, Global Brands Development Manager of International Beverages, took us on a journey… providing my 1st sip of their new make spirit and an opportunity to revisit the 12, 17 and 21 year side-by-side. Very forward, bursting with character. Andy called this their everyday “all round dram” – easy to see why with such an approachable whisky. He also noted that if you are in the US expect to find it at 43% vs the balance of the world bottled at 40%. 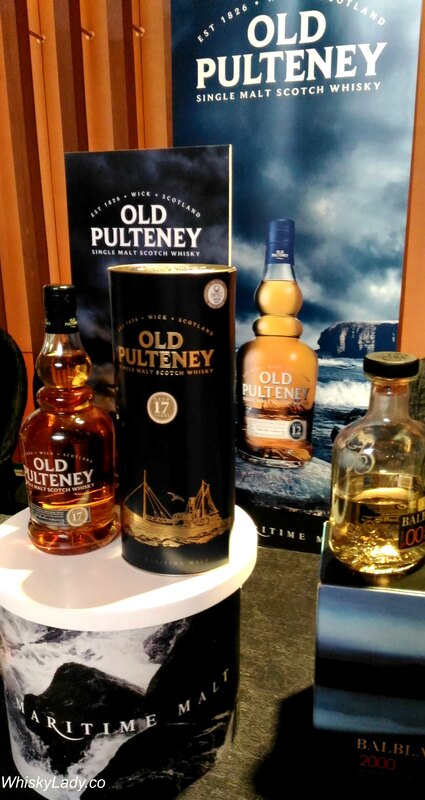 Andy described the 17 year as the “brother – forthright with lots to say” noting it is matured in oloroso sherry with a different style than the 12 or even 21 year Old Pulteney. Water – Again can add but… really… why mess with a good thing? Andy described the 21 year as the “refined, elegant sister.” Some comments around the table noted that it is far too easy to drink and hence quite dangerous! Andy also shared this was the 2012 Jim Murray Whisky Bible world whisky of the year, with the influence of sherry, yet in a different direction than the 17 year. Discussion then turned to queries about the Lighthouse range – Dunnet Head, Noss Head, Duncansby Head. Andy shared while all are NAS, they typically are 8-10 years. Then queries about what makes the 89 Vintage so special? Andy called it a “happy accident” as it was matured in a cask that previously held Islay whisky so there was a soft peat touch. When asked if there are likely to be more single casks released – he confirmed quite likely as and when something interesting is found. Overall it was a mighty fine way to experience Old Pulteney with their affable knowledgable global brand manager. 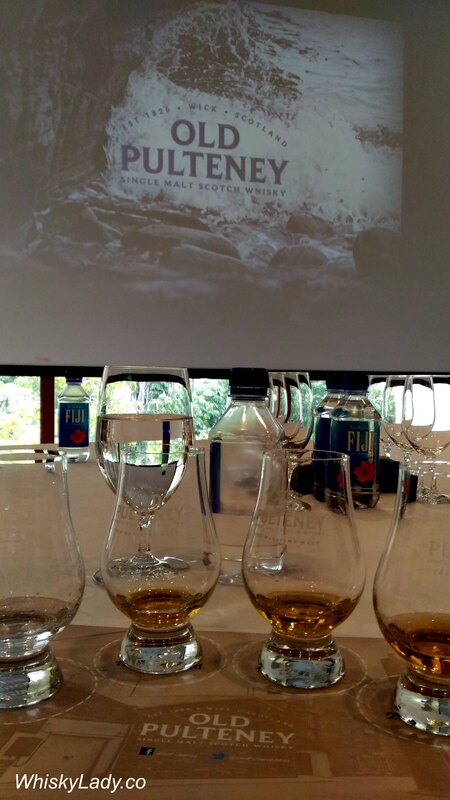 This entry was posted in Highland, Scotland and tagged Andy Hannah, InterBev, International Beverage, Old Pulteney, Old Pulteney 12 year, Old Pulteney 17 year, Old Pulteney 21 year, Old Pulteney new make spirit, Whisky Live Singapore by Carissa Hickling. Bookmark the permalink.